Question about which bag is right for you? Call or Message US. 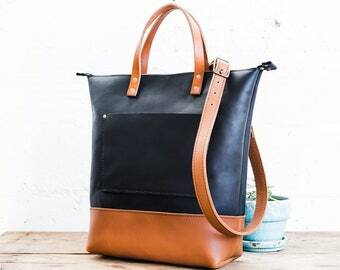 Every tote comes with an Inside Pocket & Key Loop! 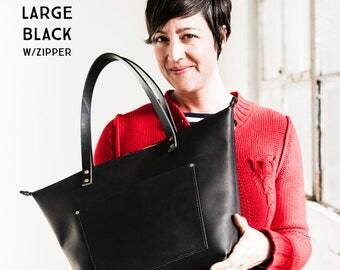 Add a sturdy YKK Brass Zipper across the top! ☞ Select your size "+ Zipper"
Gain extra storage with an outside pocket! ☞ Select your size "+ Outside Pocket"
Get BOTH a zipper & an outside pocket! ☞ Select your size "+ *BOTH"
Customize your tote with a Monogram Badge for only $20! 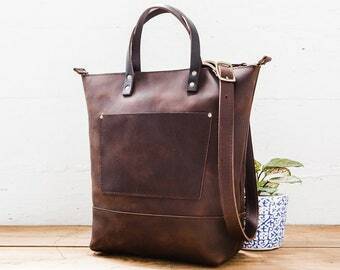 Our full-grain leather tote bags are handcrafted and built to last. Naturally water-resistant, our oil tanned leather is incredibly easy to care for and only grows more beautiful with time. As it breaks in, the leather will ‘self-heal’ as natural oils rise to the surface, buffing out small marks to create that timeless, worn-in look. 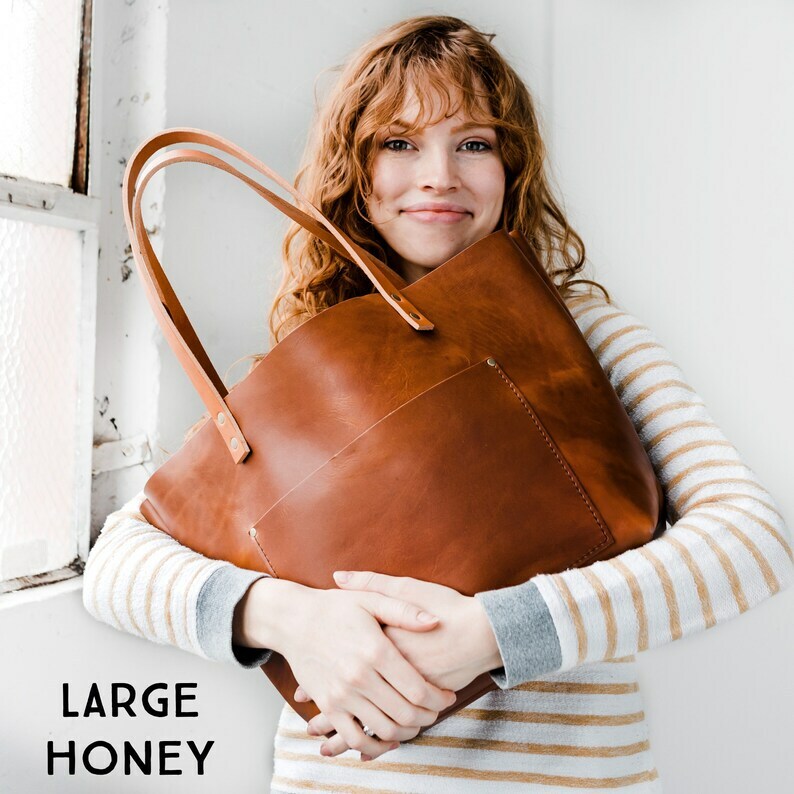 Each tote comes standard with an inside pocket and key-loop, with the option to add an outside pocket for even more storage and versatility. Our classic tote features an open top, making it easy to grab your everyday essentials and go, while our zippered design closes securely at the top to keep your necessities safe and sound. Customize your bag with a fringed leather tassel to make it truly your own. 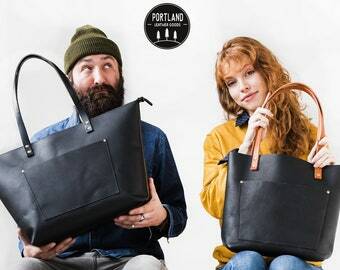 Locally-crafted and designed to last a lifetime, a Portland Leather Goods tote is the last bag you’ll ever need to buy. At Portland Leather Goods, we pride ourselves on using the highest quality full-grain chap and English bridle leathers available. With full-grain leather, the unique texture and natural imperfections from the cow’s life have not been removed from the hide. 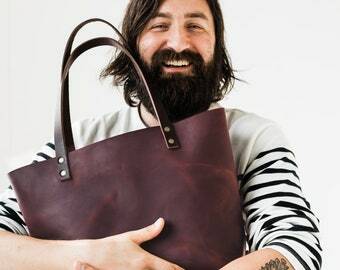 This means your tote may have some small scars and imperfections. Not only do these marks lend a tremendous amount of character to your bag, but they are also signs that you’re getting the best leather available. Rather than wearing out, full-grain leather will naturally condition with use, developing a much sought-after patina and unique character over time. Truly, the more you use it, the better it will look and feel. 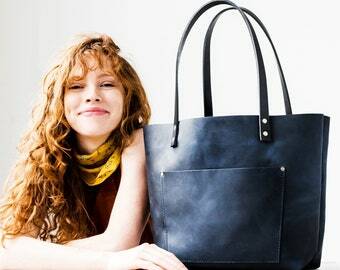 ► All Totes are handmade-to-order, just for you! ► Production Time is roughly 5-7 business days. 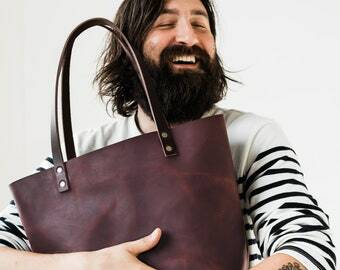 ► We ship all tote orders with USPS Priority Mail + Signature Confirmation. ► Delivery time is 2-3 days in the US, and approx. 6-10 days internationally. IMPORTANT: as mentioned above... Current production time is 5-7 BUSINESS DAYS. 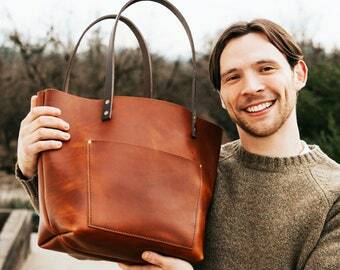 Once your leather goods are completed, we ship USPS 1-3 Day Priority. 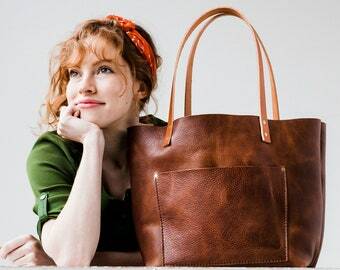 60% Off Leather Tote Bag HUGE SALE, Tote with Zipper Upgrade, Customize with Monogram - Gift for Women - Leather Purse - Travel Essential! Bought this for my mom for Christmas and she loves it. 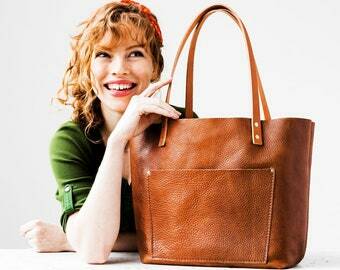 The leather is beautiful crafted and lightweight. 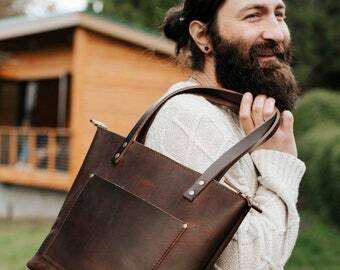 60% Off Leather Tote Bag HUGE SALE, Tote with Zipper Upgrade - Gift for Women - Leather Purse - Travel Essential! Shipped on time - it is a beautiful bag. However it is small!!! Way to small to be of use. BEAUTIFUL BAG! Just gorgeous!!!!!! Thank you! !